Yıllar boyunca birçok olumlu geri bildirim aldık ve bazılarını sizlerle paylaşmak istedik. Siz de görüşlerinizi iletmek için lütfen tıklayınız. "I wanted you to know that the rug arrived safely on Thursday and we are thoroughly delighted. 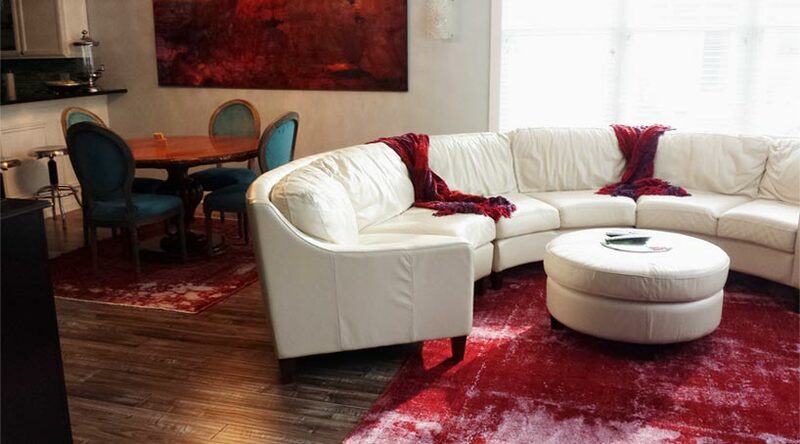 The rug is exactly as we expected, and delivery was easily within the timeframe you suggested. Thank you for your care throughout the purchasing process and also for your lovely inclusions in our package! Very thoughtful. Here is a photo of our rug in situ … All the best - we will definitely be recommending your company to our family, friends and colleagues." "Our rug has just arrived. My wife and I are very satisfied with your product. It was exactly what we had hoped for. Everything from order to delivery has functioned perfectly. I´ll recommend you to my friends." "Here are some photos of your beautiful rugs in our home. We just love them! Lighting isn't the best but here goes." "Thank you so much for my beautiful rug. I cannot believe how quickly it arrived from the other side of the world! Your service has been exceptional and I hope I can purchase from you again in the future. Many thanks." "The rug arrived and we are delighted. We are very pleased that everything from design to ordering to shipping went so smoothly. We will be in Istanbul and plan to stop by your showroom. We would like to thank you in person." "Hello, thank you for the carpet, is very nice and we are happy." 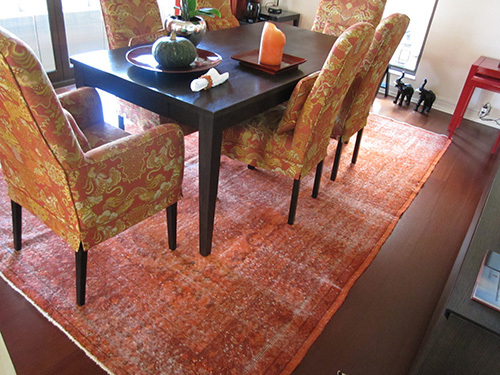 "I just received my two rugs and they exceed my expectations. The colors and patina are exactly what I was hoping." "The kilim has arrived speedily and safely. We are delighted. My spouse loves the kilim—and the colors on the web were true. Amazing to order from Istanbul and getter better service and quality than buying locally. The global economy lives. Thanks for great service and high quality at reasonable prices." "I have received the Kilims and they are fabulous. The web site photographs were pretty good for color match. The pillows are lovely and will be great on the brick red window seat. Thanks for all of your help and patience. I will pass your site along to fellow textile lovers. Best regards..."
In addition, when I had questions, you responded personally and explained everything to my satisfaction. Your delivery was prompt, and I was delighted to receive the kilims, which are very beautiful. I have recommended your "store" to everyone I know." "I received the kilim yesterday. I am pleased with the kilim. The kilim is very pretty. It is in good condition. Thank you for your kindness." "Great site!! I want to compliment you on the clear, concise, well-organized and thorough manner in which you've presented this very complex topic! Thank you, thank you!... Keep up the good work! Very enjoyable." 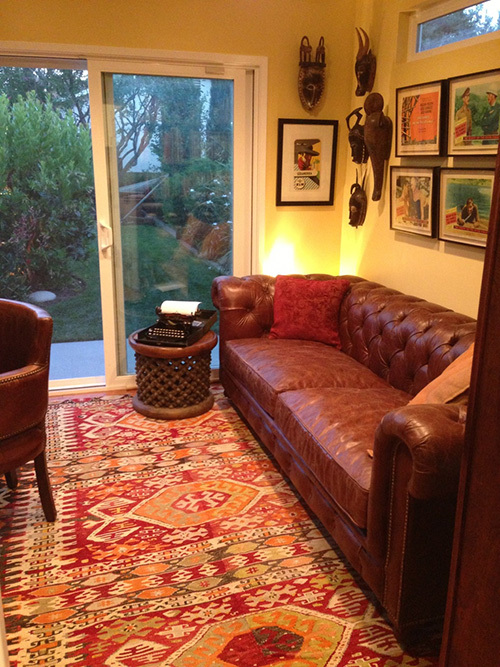 "I did recieve my kilim and love it! It's hard to believe it's 50 so years old. Is it really a semi-antique??? I do love it and there is another I will be ordering soon. Your company is very easy to deal with. Thank you." "Thank you very much for the kilim which arrived yesterday. I am very impressed by the speed, efficiency and helpfulness of your business. Many thanks." 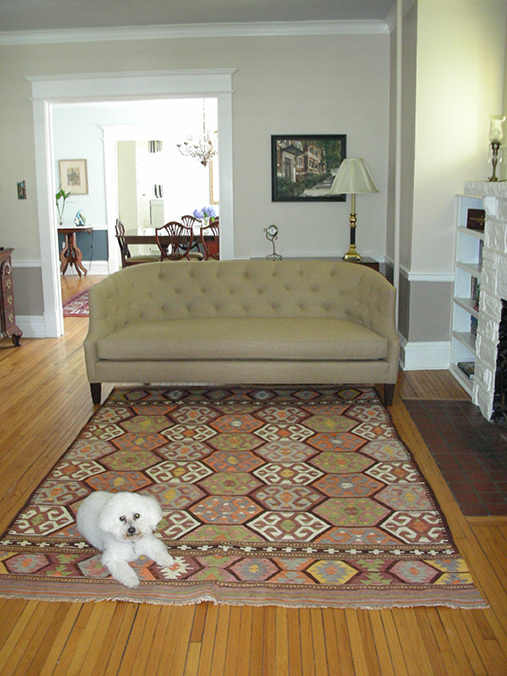 "I received the gorgeous rug, and am enjoying it very much. Your company was easy to deal with, and I'm very pleased with the process and the rug. Thanks." "They are wonderful, thanks. I will tell my friends." "I just wanted to drop you a note to thank you for your assistance in connection with our purchase of the Herki killim. It looks great in our living room. Rest assured that we will be looking at your website on a regular basis and telling our friends about our good experience with your business." "I received the Fethiye kilim yesterday. The rug is as beautiful as I imagined it would be. Your site very closely represented the rug and you did even more so when you emailed me a newly calibrated image. I also want to especially thank you for your excellent and gracious service. I wish you much success. This rug will grace our home. It will be a prayer rug of peace. Regards." "This is in answer to your email of Wednesday, April 2nd regarding our kilim order. Yes, we did receive it, and it is exactly what we wanted. We are very impressed with the beauty and color if it's wonderful design and are also very impressed with the quality of it's craftsmanship. We are very proud to be the owners of this lovely work of art and are sure that it will become a treasured heirloom in years to come. Please express our compliments to the gifted artisan or artisans who created this lovely kilim. They made us very happy. I also want to express our gratitude to Selin Damar who was very responsive to our email inquiries regarding the delivery of our rug. We were a little anxious about ordering an item from a foreign country through the email, but Selin Damar's prompt replies to our questions gave us peace of mind and we really appreciated it. In closing, I am happy to say that we would not hesitate to order from you company again in the future, and that we will recommend Kilim.com to others as well." "My kilim well received without any trouble. It meets my expectation and I am very happy of your services. Best regards." "Thank you very much, the kilims arrived yesterday and they are great! I appreciate all the help and attention I received and we received some postcards with kilim designs on them. I like some of them so I hope in the future to order some others with you. Have a nice day..."
"I received the kilim last night, and spent hours gazing it. Sorry for not contacting immediately, I just couldn’t leave from the kilim. It is more than my expectation, which is also expected. What a kilim! Deep and tender colors, lively design and fine weaving. I am so happy and don’t know how to express my gratitude. Your correspondence was very neat and prompt, which gave me no worrying about purchasing the kilim without looking the real. Thank you very much for your kindness and wonderful kilim! 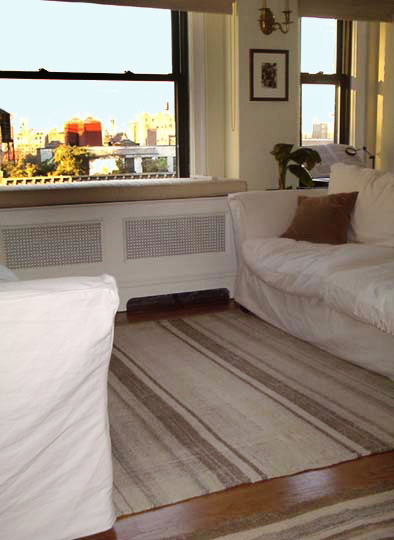 Dealing with Kilim.com was my great pleasure, and I would like to do it again soon." ... I will definitely use your site in the future and will recommend it to friends." "My kilims are wonderful! Shipping to Tokyo was quite rapid. I'd wondered whether ordering a semi-antique over the net all the way from Turkey was wise, but your explanation of its condition and the photo you sent me were very accurate. 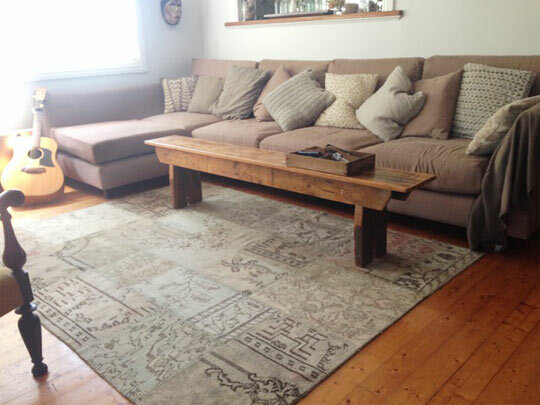 It's beautiful :) Thanks..."
"We are very happy with the rug, and our experience with kilim.com has been excellent. Your website is effective for looking at rugs and getting information, your handling was prompt and consistent with the site's promises, and you were responsive when we had problems and questions." 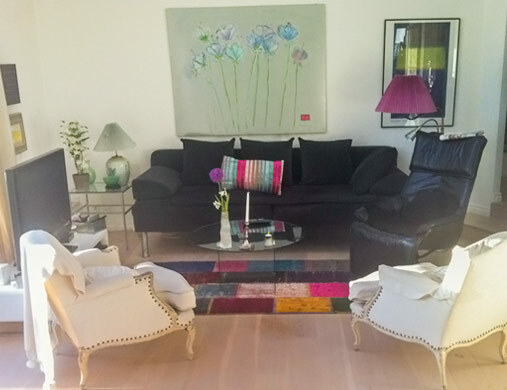 "I received some weeks ago my new kilim, it's beautiful and I'm very satisfied. Thank's." "We received our kilim today, and it is wonderful. You have a very well done website that succeeds in trying to be as accurate as possible in displaying these works of art. Thank you for your fine service. " "I received the rug and love it. I was very impressed by the quality of the rug I received and by your service, and so I am recommending it to my friends. Thank you very much." "Kilim reached safely today. Excellent, in addition elegance have moved. It is very satisfactory. I appreciate all services for it. Since it surpasses, I want to place an order again. Thank you." 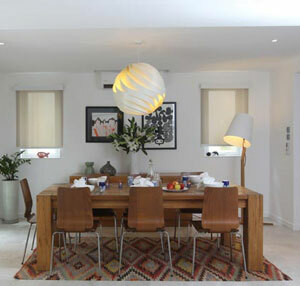 "Thank you, my kilim was just as I pictured it from the photographs on your excellent website. I would also like to congratulate you on your excellent service and updates - a refreshing change!" "The rugs came as expected (6 days after shipping from Istanbul). They are beautiful. We'll look forward to using them for many years. We'll be back again in the future for more rugs..."
"The kilim arrived today -way earlier than I expected. Thank you for the super service. AND----It's just as beautiful as I hoped it would be. I will definitely be back for more! P.S. Also thanks for the post cards." "I just wanted you to know that the rug arrived and it is beautiful. Thank you very much for all you efforts. Best regards..."
"I just wanted to let you know how pleased with my order! I received my Kilims today (perfect timing since it is my birthday!) Thanks so much and I am looking forward to ordering new Kilims as they arrive. I will be checking your website from time to time!" "We have received our kilim and are very pleased. It is displayed proudly in our home, and it has made my wife very happy. Thank you for your efforts." "Thank you! I received the kilim yesterday and it is beautiful!" 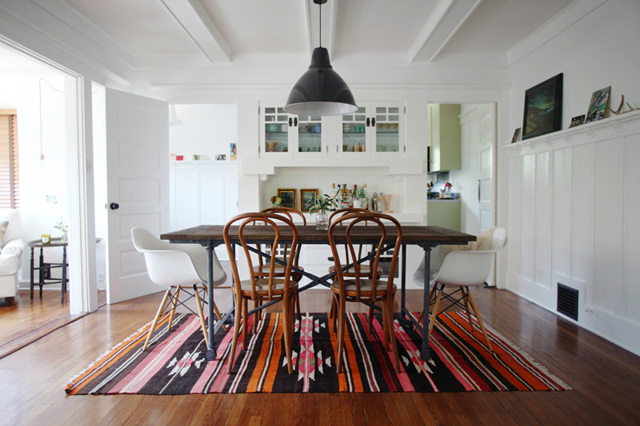 "I just received the kilims yesterday and they are perfect! Thanks!" "Many thanks for the beautiful kilim you and your company has sent so promptly to me. I am going to search for another one soon because I am so pleased with the whole experience!" "Thank you very much I did receive my order and within two days which was excellent. We are very happy with the covers. The quality and the colours are superb." "Wow! I am so thoroughly impressed with this absolutely BEAUTIFUL Kilim. I have forwarded your site on to my parents who are building a new house and they will be delighted to know that there is an affordable, stunning, and culturally connected way to decorate their house. I also loved the postcards that you sent. They are going to be prominently displayed in my flat. Thanks so much. I am very pleased with your customer service and your merchandise." "The kilim K0000…, the flood of colors and vivid design, kept a tight grasp on my heart at first look. I would like to get in touch with you when I receive it. As you show me such marvelous kilims and other beautiful textiles, gazing your website is my great pleasure. "I did receive them and they are beautiful! I plan to order more! Thanks for your tremendous service!" "We received the kilims- thanks for the prompt shipment. They are beautiful and our cats seem especially fond of them. I will recommend your company to others without hesitation." "We're quite happy with our purchase and will be ordering another shortly. Thanks for the great service." "I received the order and am extremely happy with the purchase. Thank you for the timely delivery and for the fine condition in which I received them." "The pillow is beautiful. Thank you for your concern. I wish i could afford another one to go with it. I will definitely keep Kilim.com in mind for my next kilim purchase. Also, congratulations on your very efficient web site. Money well spent! Thanks again, with warm regards..."
"I am more than satisfied. Thanks so much for the painless delivery of such beautiful pieces." "We received our kilim late yesterday afternoon. It is exquisite, like a piece of artwork on our floor. The room it graces has many handcrafted works of art from our travels. Your patience and willingness to keep trying to find us the right kilim is very appreciated. I will certainly tell my friends about your excellent service." "I received my kilim today. Thank you very much for your special care. It is very beautiful and everything I hoped it would be. And thank you also for the post cards. I appreciate your wonderful service." "Thank you for the pillow covers they are beautiful. I have really enjoyed the experience of working with you and your company. You are always prompt and so very nice to work with. Thank you." "Hello Everyone: Here I sit in Chapel Hill, North Carolina USA. I happened upon your website and it is great, one of the best I've come across and I am an avid internet user so I know of what I speak. Can't wait to take a look at the kilim store. Keep up the great work. I really enjoy great-looking, well planned and well laid out websites." "The pillow cases are beautiful. Thank you so much for the 7th one. Since we are an architectural office, we will keep you in mind for our clients in the future. Thank you for all your assistance. Best regards and thank you for your attention to our order." "The kilim arrived yesterday and created a lot of excitement in the office. 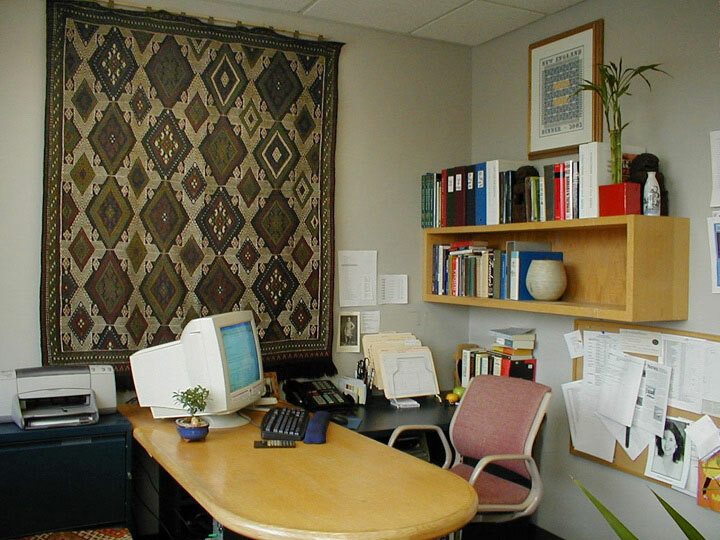 I followed your instructions and attached the kilim to a dowel rod with about 12 hoops of ribbon and hung it in my office this morning, and everyone thinks it's a beautiful addition to the office and a terrific conversation-starter. Your website and your service both exceeded my expectations, and I would be hard-pressed to think of any constructive criticism. I certainly passed your URL around the office and assured everyone that your stock was infinitely more varied than the two or three rug shops I visited in Boston and your prices more competitive. My French colleague who travels in the Middle East confirmed for everyone that one would have to travel to Turkey oneself to find a selection and price range better than yours. I think you have a very good business model." "Thank you very much. The kilims are beautiful. I wish you continuing success with your business." "Thanks. What a great way to shop for Kilims. A lot better and more trustworthy than taking a vacation to Turkey to shop for Kilims -one would need a trusted guide and much knowledge. This is fun, confidence-inspiring and I'm getting an education to boot. Eagerly awaiting receipt of my shipment." 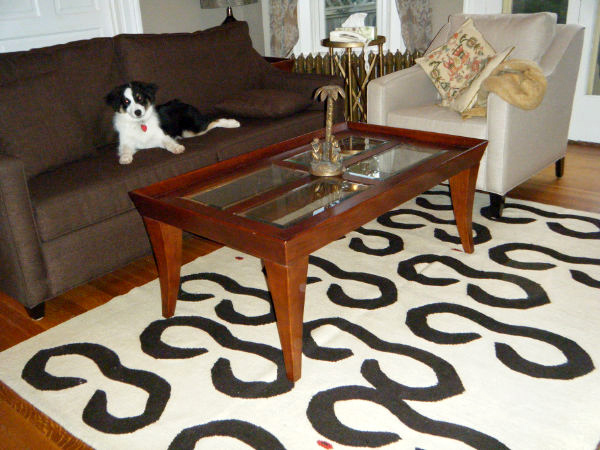 "I received the rug yesterday and am very pleased. And the pillow cover was a very nice surprise. Thank you." "Thank you so much for your considerate pictures! The red looks lovely and will go perfectly in my library. I'm so excited about my beautiful rug and look forward to enjoying it for many, many years. It's been a pleasure dealing with your company and I'll be sure to pass your great web site on to friends who are interested in adding kilim rugs to their decor." "The kilims are very high quality and gorgeous. We are doing some remodeling in our house and faux painting the walls using reds and golds and the colors in the kilims match perfectly. I took one of them to my office one day and now everyone wants one or two! Thanks so much for helping me with the colors. The folks at Kilim.com are not only very professional, but friendly as well. You may be hearing from me again soon." "I would like to say that I think your web site is excellent, and a model of good design and functionality. I was just in Istanbul (my second visit) where I bought four kilims and two carpets. I wish that I had discovered your business before my visit!" "The rugs arrived in very good shape, thank you very much. I was amazed at the quick delivery, the quality and your wonderful service. I already recommended your web site to a friend." "I had to write you and let you know that I just got back from my trip, and saw my package from you...........I was VERY anxious to open it, and I just can't tell you how absolutely PERFECT the rugs are! They are just fantastic! These rugs are going in a home in Colorado, and they are exactly what I had wanted. I just cannot believe I was able to find such wonderful, quality hand-woven kilims on a website.......sometimes you really don't know what you're ordering.......and it can be a very anxious time on waiting to receive what you HOPE you think you should be getting. Please let your weavers know they should be VERY proud of their work.......it is simply beautiful, and unlike any other I have seen. I cannot wait for my decorator to see the rugs......I know she will be very impressed! I truly enjoyed working with you, you were so helpful, and VERY dependable.........a MUCH added bonus in the computer-age!" "The Kilims arrived in 6 days from when we placed the order. We like them very much and we also like your excellent service. We will tell our friends. Thank you." "The kilim arrived and is absolutely beautiful. My wife and I are so impressed by the quality and fine service that we are in the process of picking out another kilim for a potential wall hanging." "I thank you very much for your e-mail. I received the two kilims and I am happy to say that my experience with Kilim.com was fully satisfactory and efficient. It was quick and I was able to track very precisely the shipment: very professional!" 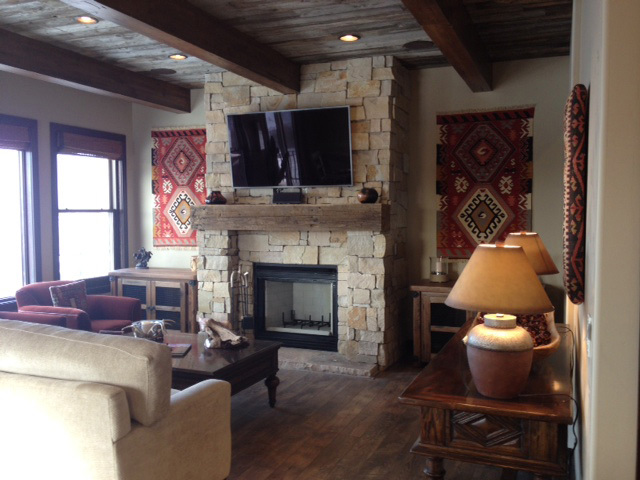 "[The kilim] came two days ago and it is beautiful! We absolutely love it. We will also recommend Kilim.com to our friends." "...We are very grateful for your help and would like to add how well organized your web site is and how efficient the ordering process is. We are very happy to have found out about Kilim.com..."
"...We are very pleased with the kilims and the pillow covers. They are sure to be enjoyed for many years. In addition, we were impressed with the quick delivery and the smoothness of this purchase. In comparison to other web sites handling kilim rugs yours is definitely of a higher quality in both presentation and merchandise..."
"...It is our intention to support your initial efforts to get your Kilim store off to a good start. Your friendliness and forthrightness has contributed greatly to our decision..."
"I am very satisfied with my new kilim and think you handled the shipping very professionally..."
"We received the kilim and really like it. Thank you so much for your services, and your wonderful rugs." "Yes, I did receive the rug, and it's just beautiful. Thank you so much for the help. I will probably be visiting your web site soon. Thanks again." " My rug arrived yesterday, and it is wonderful! It is beautiful and I am just delighted to have it. I was very surprised by how quickly it arrived, having expected to have to wait several weeks. Thank you for your excellent service. I couldn't be more pleased." "...I have looked at the motifs section. It is wonderful. This is one of the best web sites I have looked at, both in design and content." "I received the orange tulu today. It is fantastic, thanks for the little mitts as well." "FedEx delivered my pillows yesterday. They are even more beautiful than I had hoped. Thank you so much for your attentiveness to my order. I appreciate the 3rd pillow that you included because of my first choice being unavailable. I will tell my friends about your wonderful web site."